The Samsung Galaxy Note 8 launch date is just around the corner and just before its launch, we have been getting more and more leaked images of the Note 8. 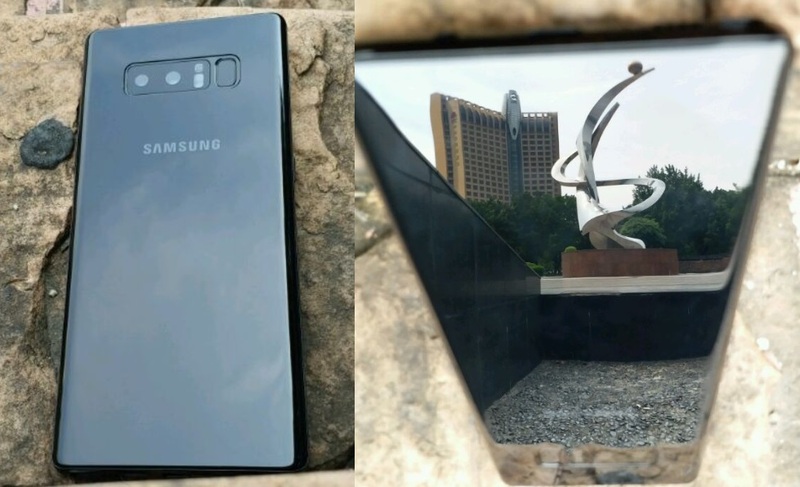 Today we have the latest yet most stunningly clear images of the Galaxy Note 8 appeared online. The Galaxy Note 8 is expected to be announced on August 23 in New York City. The device clearly resembles the Galaxy 8 and 8+ design from both front and back sides and unfortunately, you may still find it annoying to use that awkwardly placed fingerprint sensor on the back. We still didn’t find any images clearly showing the S-Pen silo, but that is expected to be along the bottom of the device. The Samsung Galaxy Note 8 is expected to be powered by 1.6GHz octa-core Qualcomm Snapdragon 835 processor and come with 6GB of RAM. The phone may come with 64GB of internal storage that can be expanded up to 256GB via a microSD card. As far as the cameras are concerned, the Samsung Galaxy Note 8 may sport a 12-megapixel primary camera on the rear and a 8-megapixel front shooter for selfies. 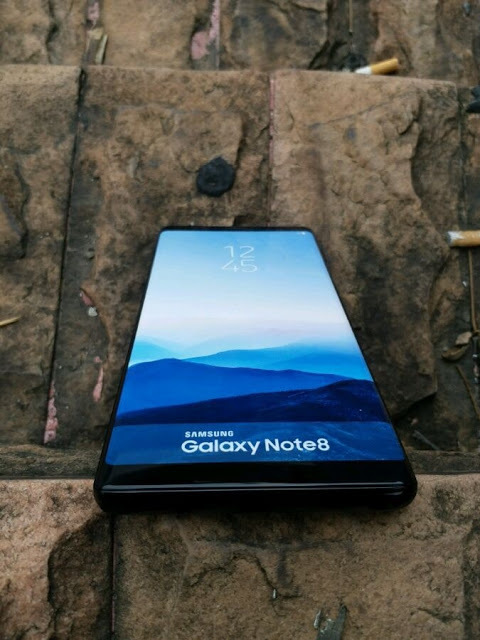 The Samsung Galaxy Note 8 is rumored to run Android 7.1 out of the box and will pack a 3300mAh non-removable battery.